Can you imagine diagnosing yourself with skin cancer? 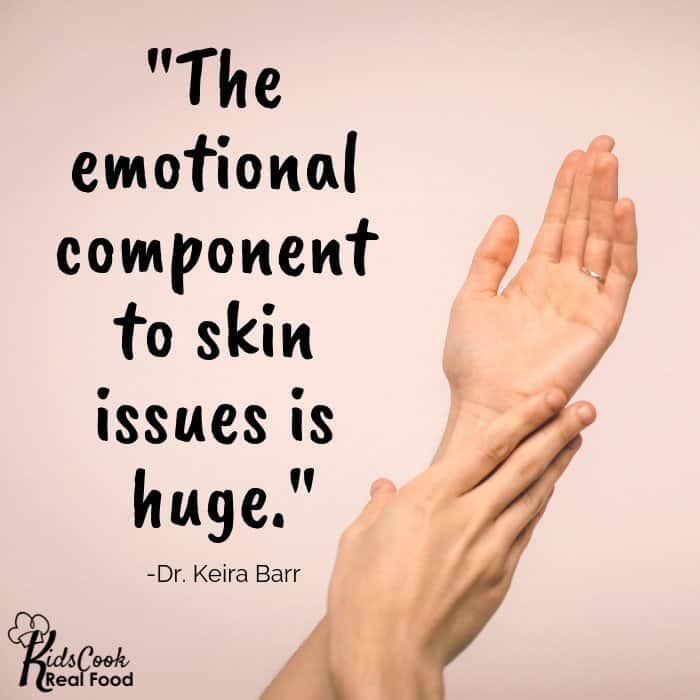 Dermatologist Dr. Keira Barr had that terrifying experience and it changed the way she listened to her skin – which she says had been screaming at her since her childhood to listen up. How the gut and skin are connected, and even more fascinating, how the BRAIN and skin are connected! Why her new focus as a dermatologist is on…sleep? 0:16: Dr. Keira Barr diagnosed herself with skin cancer in her late 30s. This led her to examine the importance of our skin in a holistic way. She’s now known as “The Skin Whisperer” and is the founder of the Resilient Health Institute. 2:20: It has to be terrifying to diagnose yourself with skin cancer! Dr. Barr wants to educate others so they know what to look for like she did. Early detection is so important. 3:01: Thankfully, Dr. Barr was able to have her cancer removed. It was a wake up call, but it wasn’t until her health in general deteriorated that she really began to dive deep into health. 3:56: Dr. Barr realized that her body was telling her to do something different and she was totally deaf to it. 4:30: Skin issues are an invitation to look deeper. 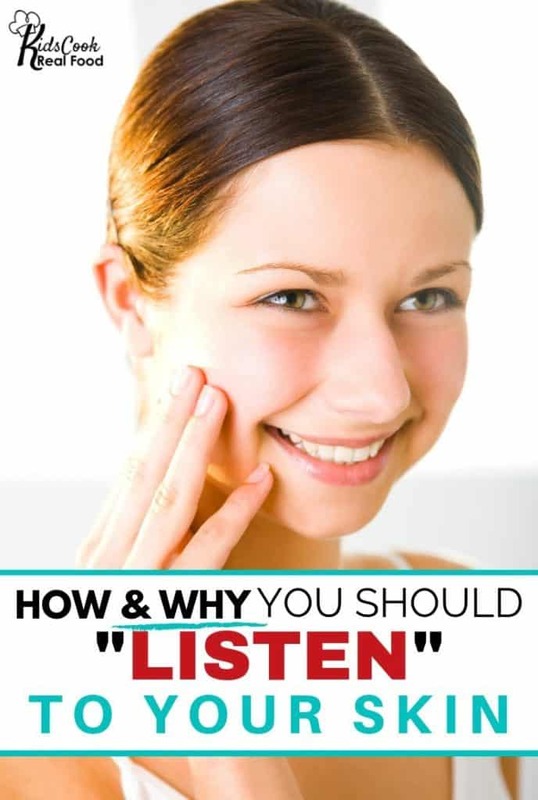 Really dig in and find out what’s going on inside your body when symptoms appear on your skin. Take notice of what your body is telling you. 5:02: Dr. Barr began looking at her skin, what she was feeding her body and how she was nourishing her soul and mind. 5:43: Kids are constantly getting little rashes and it’s up to parents to decide if we need to go to the doctor or not. 6:09: Empowering our kids to feel comfortable in their skin is part of our job as parents. 6:38: There is a clear gut–>skin connection. We need to nourish ourselves and our kids with a variety of foods that take care of our guts and thus take care of our skin. 7:11: There’s also a brain–>skin connection. We can actually make stress hormones in our skin. When kids are dealing with social and environmental stressors that can exacerbate skin conditions. It’s important to have conversations with our kids and see what is going on. 9:12: Lack of sleep is also a contributor to skin conditions. It’s particularly linked to skin cancer. 9:42: There are also external triggers for skin issues. A new laundry detergent, allergen or lotion may disrupt the skin microbiome. 9:54: Many people are exposed to blue light and look at screens at night which shuts off melatonin production and increases cortisol (stress hormone). Elevated cortisol breaks down collagen which contributes to wrinkles, delays wound healing and makes acne worse. 11:17: Just like our gut has a microbiome, the skin has it’s own microbiome. There are literally bacteria all over our body. There’s a delicate balance of different bacteria on our skin. Any imbalance can be a trigger for rashes, eczema, odor issues, etc. 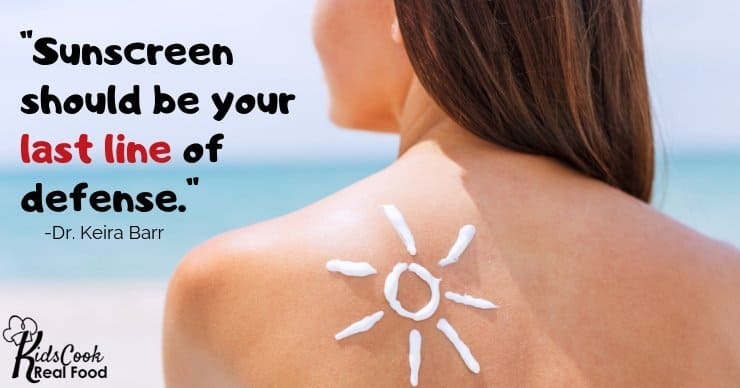 There has been research showing that the bacteria on our skin help protect us from UV damage. 13:37: Sunscreen should not be the first or only thing you go to for protection. Sun protection clothing is a great way to protect your skin. This includes a wide brimmed hat and sun glasses. Seek shade when possible. You can look at your shadow to determine how much sun exposure you’re getting. 15:08: The pendulum is starting to swing in the right direction. 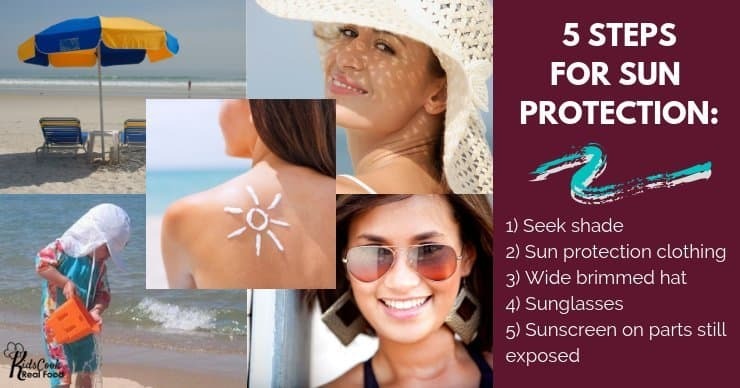 There are definitely more options to get stylish bathing suits that cover more skin, but we need to do more and get more people on board to make significant changes in the rates of skin cancer. 16:18: We need to be feeding our bodies food it can use for fuel to make us feel good and energized. Vitamins C, D, E, and selenium are especially important for skin health. 17:31: Sleep is a time for rest and repair. Your body needs time to repair from the environmental stressors it was exposed to during the day. 17:49: Move your body in ways that feel good. 18:05: There are some sun protection supplements as well. Polypodium leucotomos is derived from a South American fern and has been shown to increase your threshold for sun damage when used with other sun protection measures. If you’ve had a non-melanoma skin cancer already, niacinamide (500mg twice daily) has been shown to protect against additional instances of skin cancer. 20:06: Part of Dr. Barr’s story is that skin blemishes led her to be very insecure as a teenager. There is a cultural image of what beauty should be and this makes teens especially question whether or not they measure up and are good enough. 21:09: Metaphorically and physically how are you showing up in the world? Beauty is about so much more than what you look like on the surface. Teaching kids that they have the power to make choices about how they live boosts their confidence levels. 21:58: Dr. Barr shares a story about her daughter going through a rough time in her health. 23:16: As parents it’s our job to empower our kids to make choices that will make them feel confident, healthy and beautiful. Talk to them about how they want to feel and how they can achieve that. 24:41: Dr. Barr has a free 30 day program to help moms thrive in daily life. 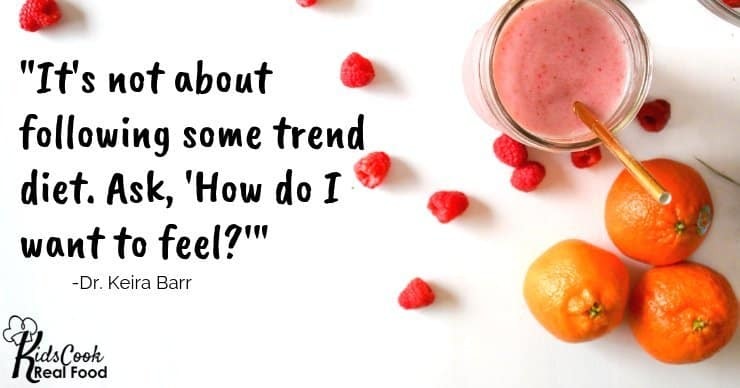 It’s full of baby steps to jumpstart your journey to resilient health. You can find it here. 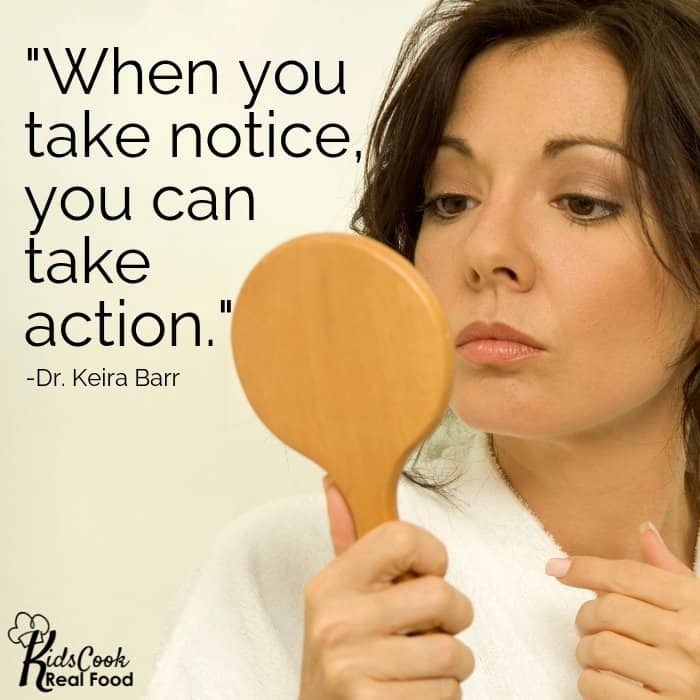 You can find Dr. Barr’s free 30 day program and Quick Start Guide on her website. Dr. Barr also mentioned polypodium leucotomos, the ingredient made from a fern that’s in SunDaily (formerly SunDots), which we’ve discussed on Kitchen Stewarship before. Find them here, and more info in an interview on KS here.